It’s official: Google is killing off Allo. The messaging app was only launched in September 2016 but it was pretty much flawed from the word go with limited usage. Google was, once again, painfully late to the messaging game. The company said it had ceased work on the service earlier this year, and now it has announced that it’ll close down in March of next year. Google said it wants “every single Android device to have a great default messaging experience,” but the fact remains that the experience on Android massively lags iOS, where Apple’s iMessage service offers a slick experience with free messages, calling and video between iPhone and iPad users. Instead of Allo, Google is pushing ahead with RCS (Rich Communication Services), an enhanced SMS standard that could allow iMessage like communication between Android devices. But could is the operative word. The main caveat with RCS is that carriers must develop their own messaging apps that work with the protocol and connect to other apps, while the many Android OEMs also need to hop on board with support. As I wrote earlier this year, with RCS, Google is giving carriers a chance to take part in the messaging boom, rather than be cut out as WhatsApp, Messenger, iMessage and others take over. But the decision is tricky for carriers, who have traditionally tightly held any form of income until the death. That’s because they won’t directly make money from consumers via RCS, though it allows them to keep their brand and figure out other ways to generate income, such as business-related services. Verizon has already signed up, for one, but tracking the other supporters worldwide is tricky. Another problem: RCS is not encrypted, which flies in the face of most messaging apps on the market today. 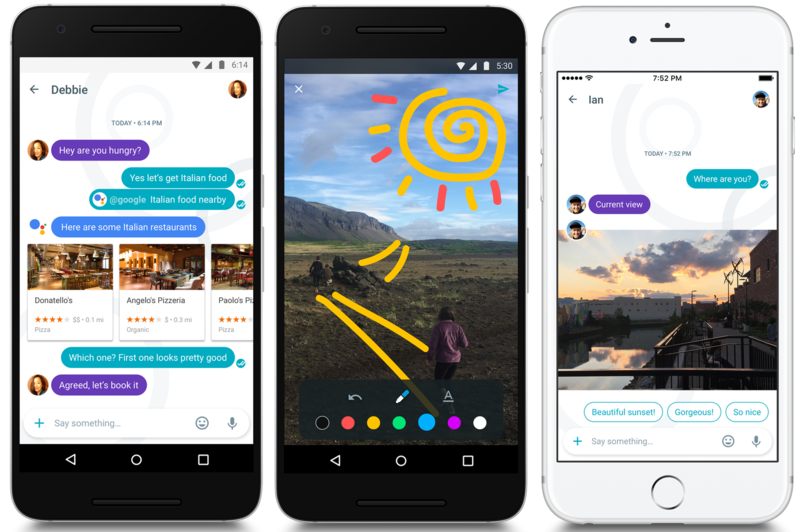 Elsewhere, Google is keeping Duo — the video chat service that launched alongside Allo — while it continues to develop Hangouts into an enterprise-focused service, much like Slack .